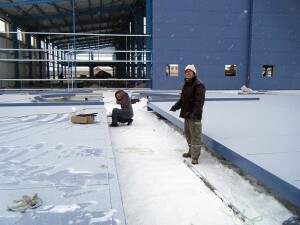 Construction of the aircraft maintenance hangar in Mongolia continues, and the fuselage sealing doors are now in place. Designed by REIDsteel to fit an Avro RJ85. The fabric ring inflates to create a tight seal around the aircraft body so that maintenance can be carried out on the aircraft without the need for the whole plane to be inside the hangar. 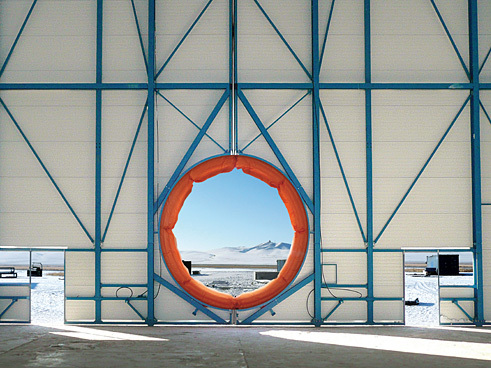 When the seal is not in use, the smaller, outer doors slide shut and seal the hangar. The project was commisioned by Eznis Airways LLC, and is located in the Capital Ulaanbaatar. Mongolia is a huge landlocked country, covering an area of over 1.5 million square kilometres. It is bordered by China on the south, east & west sides and by Russia to the north. 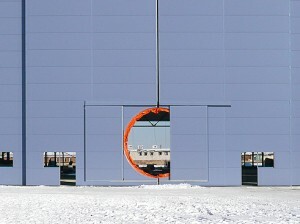 This entry was posted in Aircraft Hangars & Doors and tagged fuselage sealing doors, mongolia steel construction project, steel building construction. Bookmark the permalink. ← Mongolia: Minus 37 – That’s REALLY cold!